A broad variety of businesses: BOP, Workers Compensation, Commercial Automobile, Umbrella, and Miscellaneous Professional Liability. 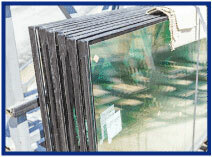 Goldleaf Surety Services recently assisted a large general contractor's glass and glazing division obtain bonding on a $6,500,000 for the operable window system, glass and glazing for luxury suite renovation to an NFL stadium. In addition to the challenges relating to the type of work being done and the size of the contract, this bond included review of six related entities to include on the indemnity agreement; a multiple oblige rider to included 5 obliges; and obtaining an All's Right Letter from the project owner as work was 40% completed prior to Goldleaf working on this bond. With access to over two dozen surety companies and a staff of highly experienced staff, Goldleaf Surety is able to assist agents and their contractors in many situations where others have said no. Through our relationships within the surety industry and our comprehensive underwriting, Goldleaf Surety is able to understand the complexities of the situation and present these to a surety so that they are comfortable with the risk. We encourage you to team up with Goldleaf for all your surety needs! Big "I" members can contact Goldleaf by logging onto www.bigimarkets.com (select the appropriate bond type from the bond options on the commercial markets menu) or by calling Goldleaf directly at 1-888-294-6747 (ask for Lori Olson). 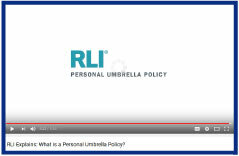 RLI, the Big "I"-endorsed umbrella provider, has created a new video to educate consumers about the benefits of a personal umbrella liability policy. The video is brief and entertaining. It explains an umbrella in simple terms, then provides examples of umbrella claims that any consumer can relate to. The video is available on RLI's YouTube channel and webpage on the Big "I" website. Feel free to add or share it on your agency websites, as well as in marketing materials and other communications, helping your clients understand how a personal umbrella safeguards their personal assets and future earnings. Exciting things are happening in the environmental insurance industry. With more and more insurance professionals and purchasers understanding that environmental exposures range well beyond hazardous waste, the demand for environmental insurance products continues to increase. There exists a decade-long stigma in the insurance industry that environmental or pollution insurance is only needed by hazardous waste contractors. However, never in the history of the infamous pollution exclusions found in standard ISO liability and property policies have these exclusions ever been limited to just hazardous waste. Various case law across the country confirms the broad application of these exclusions. Almost every industry carries some sort of environmental and pollution exposure including farms, any site with underground storage tanks, commercial properties, and contractors; case law in many states and actual claims have only exemplified that exposure. For example, in 2013, the Supreme Court in Wisconsin recently ruled manure as a "pollutant". In Iowa, Des Moines Water Works sued farmers upstream of the rivers that supply Des Moines residents with their drinking water for polluting the city's water source with nitrates, which are found in manure. In Washington state, farmers spreading excessive amounts of manure on their fields were cited under the Resource Conservation and Recovery Act (RCRA) for disposing of a hazardous waste without a permit; the claim stated that the excessive amounts of manure resulted in runoff containing high levels of nitrates that polluted nearby sources of drinking water. This is evidence that federal and environmental laws are now applying to agriculture for the first time ever. Whether you want to believe it or not, these actions affect every farm across the country; a substance they deal with on a daily basis that has on more than one occasion been referred to as "liquid gold" is now a pollution exposure. The need for environmental insurance on farms has changed. Advancements in science and social norms make it no longer socially acceptable to spread manure on a farm field without consequences. Many farms are expressively uninsured for pollution-related exposures other than crop overspray because of pollution exclusions found in standard farm property and liability policies. What is the solution to fixing the coverage gap created by pollution exclusions found in farm policies? Purchase environmental insurance coverage. There are insurance programs specifically designed for farming and agricultural pollution and environmental risks in the environmental insurance marketplace. In 2014, American Risk Management Resources Network, LLC (ARMR) created a policy in partnership with Crum & Forster to help with the financial assurance in the agriculture industry. This exclusive program is available to you through Big "I" Markets. Congratulations to our agent inTexas on an Affluent Homeowner sale of $22,447 in premium!